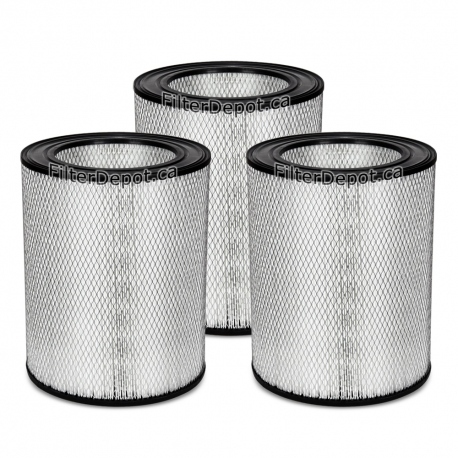 Amaircare 10000 TriHEPA Molded True HEPA filter is a set of three Amaircare replacement Molded HEPA filters. 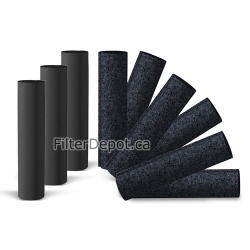 Amaircare 10000 TriHEPA Molded True HEPA filter fits older Amaircare 10000 TriHEPA central air purifier. Amaircare 10000 TriHEPA Molded True HEPA filter's lifetime: 3 to 5+ years. 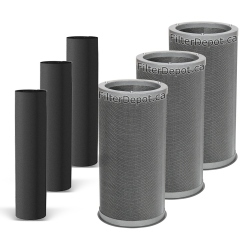 Amaircare 10000 TriHEPA Molded HEPA filter fits Amaircare 10000 central air purifiers manufactured before January 2015. Amaircare 10000 TriHEPA Molded True HEPA filter's previous item # 90005406- CAN; 90015406-US.